It's great to be a K-Drama fan because—let's face it: you never run out of things to watch. Just as the end credits roll and you're wiping the tears away, you have another show that will sweep you into new worlds and have you watching until 5 a.m. Best of all, there's always an interesting genre for everyone—perfect if you're feeling averse to cheesy romances. 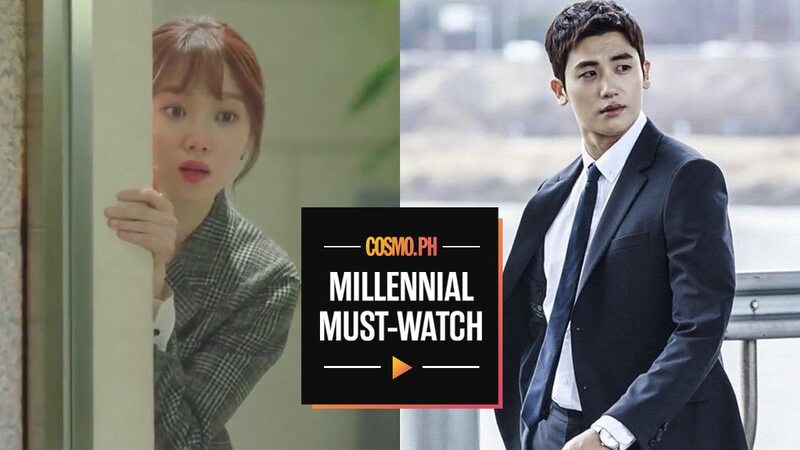 From newly released titles to the ones that are still headed your way, here are all the Korean dramas you need to keep on your radar. If the title sounds familiar, then you're right—this is the KBS version of the popular, long-running American series. Strong Woman Do Bong Soon star Park Hyung Sik plays the Korean version of Mike Ross: Go Yeon Woo, a young genius with perfect photographic memory. Choi Kang Seok (Jang Dong Gun), the top lawyer in Seoul's best law firm, hires Yeon Woo despite his lack of credentials. You can now stream the first several episodes on Viu. After playing supporting roles in 2017's Prison Playbook and While You Were Sleeping, rising star Jung Hae In bagged his first lead role in JTBC's Something in the Rain (also known as Pretty Noona Who Buys Me Food). This romance centers on the blossoming relationship between a jaded 30-something career woman named Jin Ah (Son Ye Jin) and her best friend's much-younger brother, Joon Hee (Jung Hae In). The entire series is now streaming on Netflix. Jang Keun Suk plays dual roles in this K-Drama: Do Chan, a genius-slash-conman, and Joon Soo, an honorable prosecutor who gets into an accident. Due to unforeseen circumstances, Do Chan is forced to pretend to be the latter, but is he brilliant enough to pull it off? This legal thriller centers on a gangster-turned-lawyer (Lee Joon Gi) who find loopholes in laws to win cases. Driven by the need to avenge his mother's death, he soon teams up with an idealistic lawyer (Seo Ye Jin) as they fight corruption. Following her breakout role in 2016's Weightlifting Fairy Kim Bok Joo, Lee Sung Kyung is back with a new fantasy romance! She plays Michaela, a theater actress with the unique ability to see the lifespans of the people around her. Everything changes when she meets a man (Lee Sang Yoon) who somehow has the ability to stop Michaela's life clock. Korean superstar Rain returns to TV as Dong Soo, a brilliant detective who works with Shi Hyun (Lee Sun Bin) to catch a vengeful and dangerous serial killer. The twist? Shi Hyun has the ability to see three days in the future, sketching everything she witnesses. Fun fact: This upcoming action-thriller is the reunion project of Rain and Sun Bin, who first worked together 15 years ago! Goblin star Lee Dong Wook is back to make you swoon all over again! This time, he plays Jin Woo, a stubborn yet charismatic doctor in the ER department. The series follows his power struggle with Seung Hyo (Cho Seung Woo), the icy and competitive director of the hospital. And if this isn't enough to get you excited, Life is written by Lee Seo Yoon, who also wrote the critically acclaimed crime series, Stranger (which you can also stream on Netflix). After charming audiences in 2017's Fight For My Way, Park Seo Joon returns to the small screen as Lee Young Joon, a cocky and narcissistic vice president of a massive conglomerate. His life changes when his highly capable secretary (Park Min Young) of nine years suddenly quits her job and he realizes just how much he needs her. Easily one of the most exciting K-Dramas this year, Memories of the Alhambra centers on Jin Woo (Hyun Bin), a CEO of an investment company who travels to Granada, Spain on a business trip. He spends a night in an old hostel run by Hee Joo (Park Shin Hye), who has a painful past of her own. EXO's Chanyeol will reportedly play Hee Joo's brother, and the series is written by Song Jae Jung, who also famously penned 2016's W.